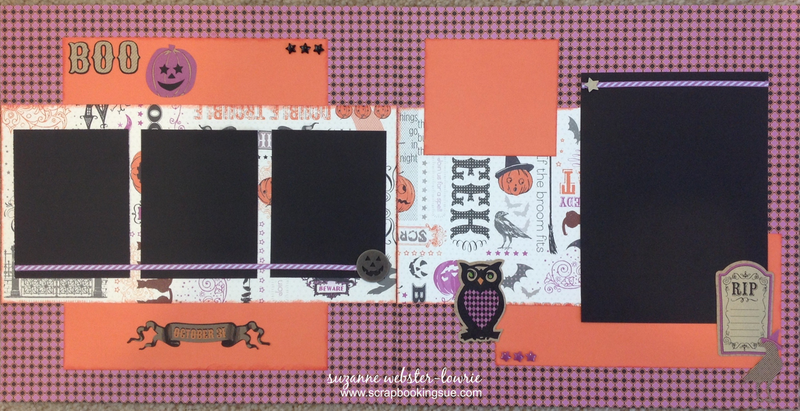 Create 3 Layouts with this Custom Scaredy Cat Scrapbooking Workshop! 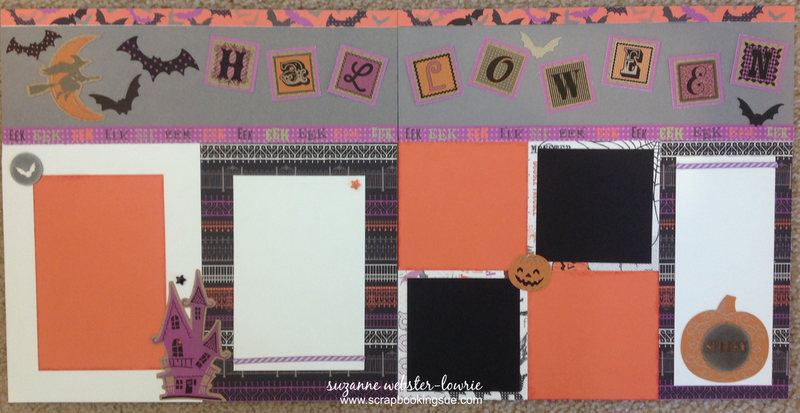 Close To My Heart is NOT offering a scrapbooking Workshops On The Go kit for Halloween this year. So, I have created my own workshop! 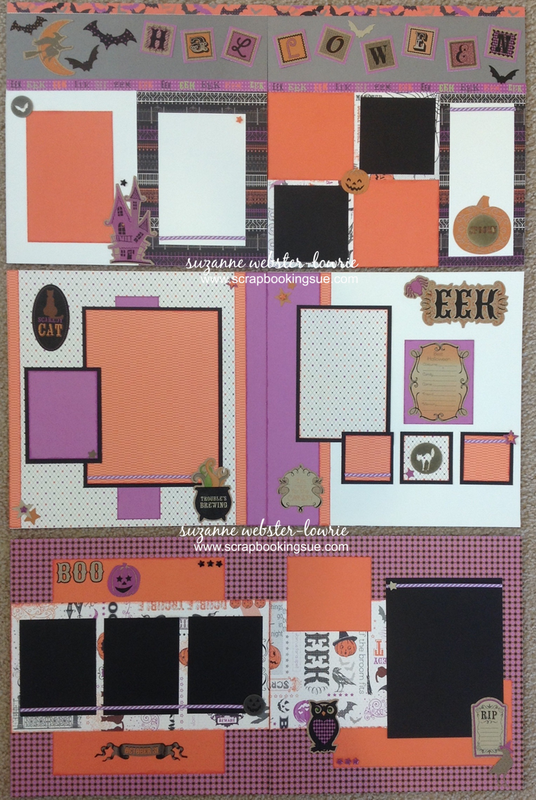 I have been busy creating layouts using the Scaredy Cat scrapbooking papers and accessories, and I am offering these 3 new layouts FREE to anyone who purchases the “kit” components for this workshop from me. Technically, this is not a kit in the true sense, where everything comes packaged together and I ship it to you. Instead, you order the products that make up this “kit” directly through Close To My Heart, and they get shipped straight to your door, saving you money! For a closer look at the layout details, please click here. Simply order the highlighted products from my CTMH shopping website, and receive the e-files to make the 3 layouts for free! 2 sheets of 12″ x 12″ off-white/cream paper are also required for this project but you do not need to purchase this with your kit. You may use paper from your own stash or purchase this with your kit if you do not have this paper and want it to match exactly. 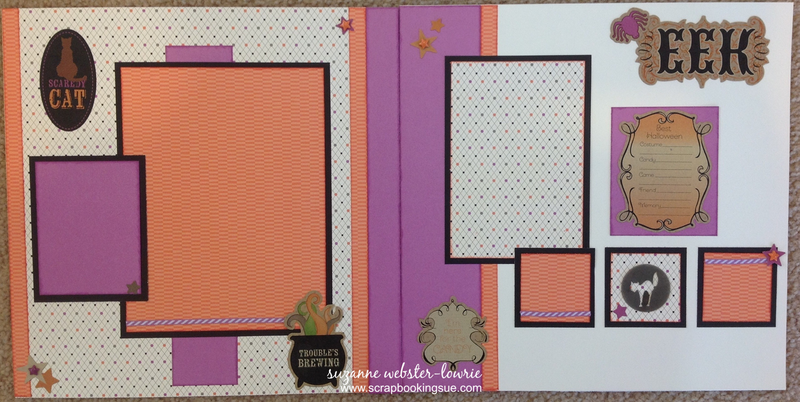 You will also need basic scrapbooking supplies, such as a paper trimmer, scissors, and glue. *Although there was no stamping in this project, I did use inks to distress around the edges of some of my papers and embellishments. Inking adds depth and color to the project but is completely optional. No ink pads or inking is required to complete this project. To find out more about the Scaredy Cat Custom Workshop, including instructions for how to place an order, please click here. To order the kit components now, please click on the shopping cart above. If you are a CTMH consultant wanting to use these files in your own business, please click here for more information.